We are very affected by the energy of the people who surround us… especially the people who we love most. It’s not the easiest thing to admit, but often it is the support (or lack thereof) from our friends and family members who make or break our success. These characters are only fragments of the people we love most and our need to impress them is fabricated by our own insecurities and fears. When we are working overtime to appease them, we become unclear about our own intentions and consequently deny serving our happiest self. Our inner voice becomes silenced. On the other hand having a strong support base, fans who adore you and are rooting for you, can make a terrific impact and result in acheiving your ultimate reality. Then again, who in this whole wide world doesn’t have complicated relationships? This week we’ll be talking about finding your peeps, and conditioning your “habitual relationships” to be more optimal, more productive and more worthy of your love and attention. Joining us on the show is Cindy W. Morrison, former news anchor and investigative reporter, now a social media strategist and author of her latest book: Girlfriends 2.0. She will be joining us to talk about SOCIALVENTION: How to reboot, upgrade and reinvent yourself. “We can’t afford to renew your contract.” Those words from her news director changed Cindy Morrison’s life forever. Refusing to be labeled a “has been” because of corporate downsizing, the Emmy-winning TV anchor and investigative reporter reinvented herself in record time. Cindy’s honesty about her layoff and witty style of reinvention struck a chord across the country—and today she’s a sought after speaker and her book “Girlfriends 2.0″ sold more copies in just the first month than the vast majority of first time authors ever sell! Now Cindy uses her powerful message and social media savvy to guide others to successfully reinvent themselves with her SOCIALVENTION programs. She coaches entrepreneurs to corporate executives to reboot, upgrade and reinvent by using powerful tools like social media, branding and video presence. Tory Johnson, the founder of Spark and Hustle and the workplace contributor on Good Morning America calls Cindy her favorite social media strategist and Stiletto Magazine named her one of the Top 25 Most Amazing Women in America. Cindy’s story has been featured everywhere from FOX News to CBS’s “The Talk” and The Wall Street Journal to the Times Square Gossip page. 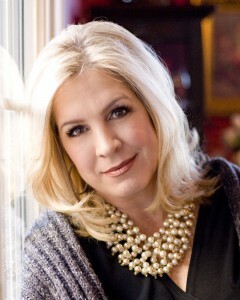 Patty Lennon is a Life Design Coach and Founder of Mom Gets A Life. Patty traded in her 15 year career at a global bank to coach moms who are ready to move themselves up on their priority list. Patty has helped frustrated, exhausted, overwhelmed women across the country redesign their life so they can experience the passion and purpose that is each person’s birthright. In 2011 Patty founded Mom Gets A Life to reach many more mothers. Her mission is to help every mom fall as deeply in love with her own life as she is with her children.